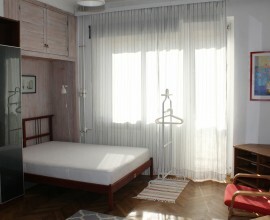 A beautiful studio flat (25 sqm) to rent in the heart of Warsaw! 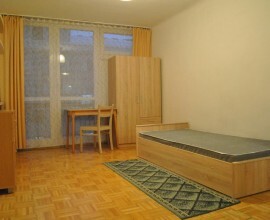 This cosy apartment is just after the renovation and it is fully furnished. Flat consists of a room, separated kitchen area and a modern bathroom with a shower. 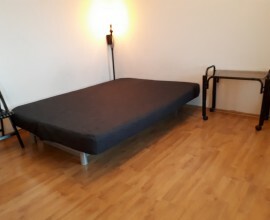 You will find thereall that you need, a folding-out sofa bed, a big wardrobe, a chest of drawers for even more clothes, a coffee table and a washing machine. The kitchen is fully equipped with a cooker, a fridge, many plates, pots, pans, cups, glasses and cutlery. Flat located is on the 9th floor, the last one, from where you have a beautiful view of the whole area! Uprising Museum and a huge shopping mall called “Złote Tarasy”. The area is very nice and modern with lots of skyscrapers!